Samsung has announced a trio of J-series smartphones in India, following the Chinese release of the Galaxy S Lite Luxury. 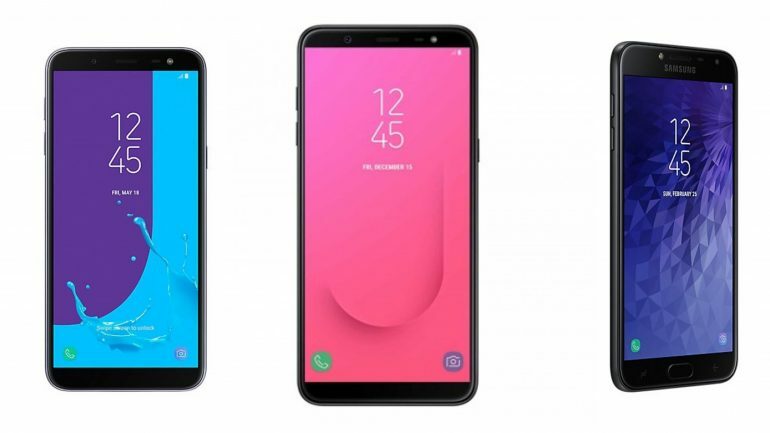 The Samsung Galaxy J4, J6 and J8 are all entry level devices and we wouldn’t be surprised to see them appear in other emerging markets over the coming months. Starting off with the cheapest of the three, is the barebones the Galaxy J4. It packs an Exynos 7570 chipset backed with 2GB of RAM and 16GB of internal storage. Its display is a 5.5-inch SuperAMOLED screen with 720p resolution. There’s a single 13MP shooter on the back and a single 5MP selfie camera with an LED flash. Powering the device is a 3000mAh powered battery and it will ship with Android 8.0 out of the box. Moving on, the Galaxy J6 is more mid-range device and Samsung has opted to use the Infinity Display design for the phone. On the front, there’s a 5.6-inch SuperAMOLED display of 720×1440 resolution. The J6 has a more powerful processor as it uses the Exynos 7870 chipset. The rear camera is the same as the one found on the J4 but the selfie camera gets an upgrade to an 8MP sensor with an LED flash. The LED flash on the front seems to have three level of brightness to light up your selfie needs. Other than that, the phone is also equipped with a 3000mAh battery and a fingerprint sensor. 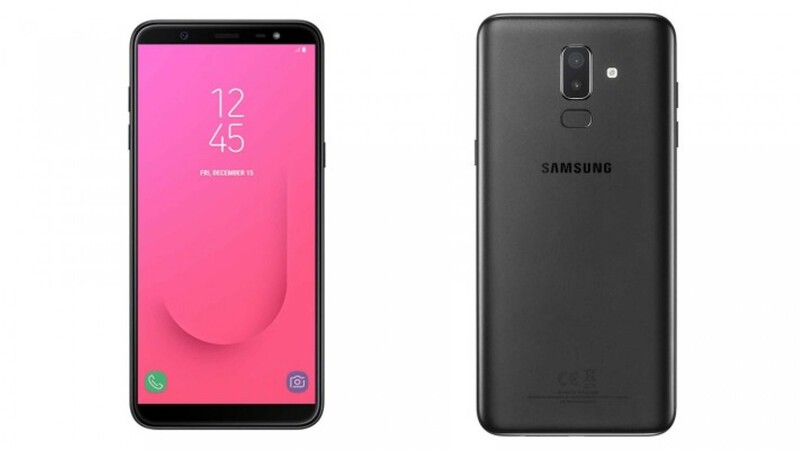 The Samsung Galaxy J8 is pretty much a cut down version of the A6+. The notable difference between the two is the change in build quality and also the screen resolution. 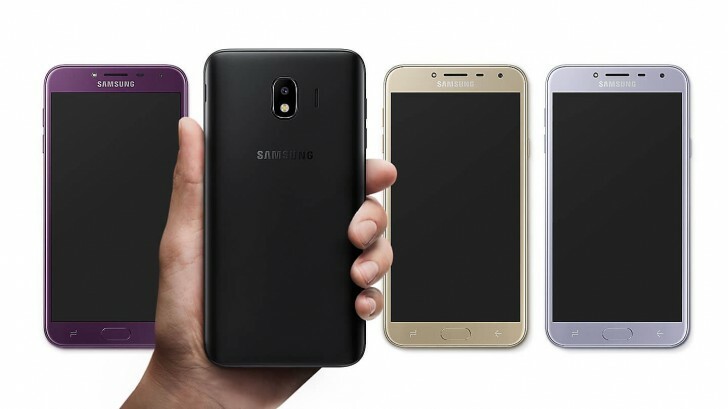 Samsung has opted for a polycarbonate body on the J8 while the A6+ has a metal body. On top of that, the J8 has a lower pixel density on its display due to a lower 720+ resolution versus 1080p resolution on the A6+. Other specs of the J8 remain the same as the A6+. There’s a Snapdragon 450 coupled with 4GB of Ram and 64GB internal storage inside the phone. The battery is rated at 3500mAh which should be enough power the hone throughout the day. Image-wise, the rear dual camera have a 16MP, the rear dual camera has a 16MP+5MP sensor. The selfie camera is a 16MP camera equipped with an LED flash. Priced at INR 19000 (RM 1111) the Galaxy J8 will be available in Blue, Black and Gold colours. 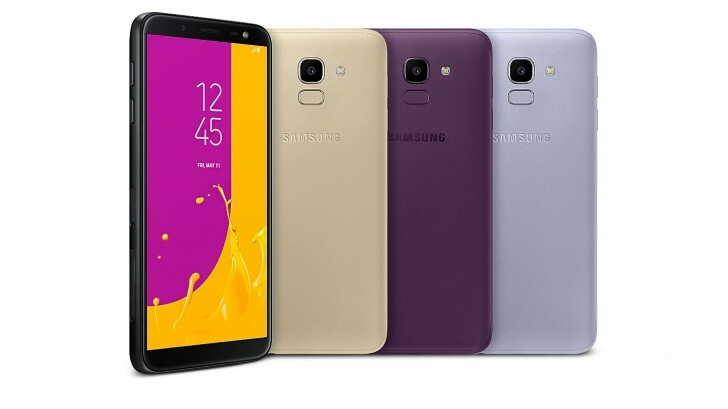 Samsung hasn’t announced any price for the Galaxy J4 so far. As for the Galaxy J6, it will be priced at INR 13990 (RM 817) for the 4GB RAM + 64GB storage variant and INR 16400 (RM 958) for the 3GB RAM + 64GB storage variant.